We love Vancouver but also think the rest of Canada is pretty great too. 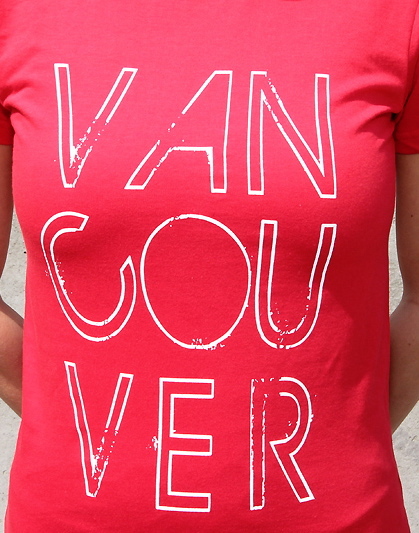 So, we made Limited Edition Vancouver, we love you Canada Day shirts to celebrate! Wear yours on July 1st and show everyone how much you love our country and city. 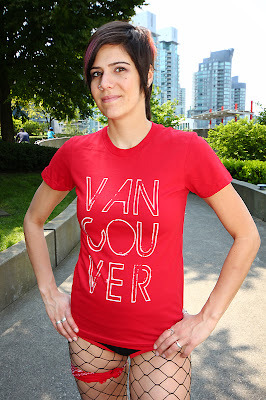 Thanks to Public Frenemy's Risquee Biznatch for modeling our Canada Day shirts. Sorry, fishnet stockings not included with shirt purchase. And apparently.... neither are pants. Make sure to send us a picture of you wearing your Vancouver, we love you Canada Day shirt on July 1st so we can post it right here!